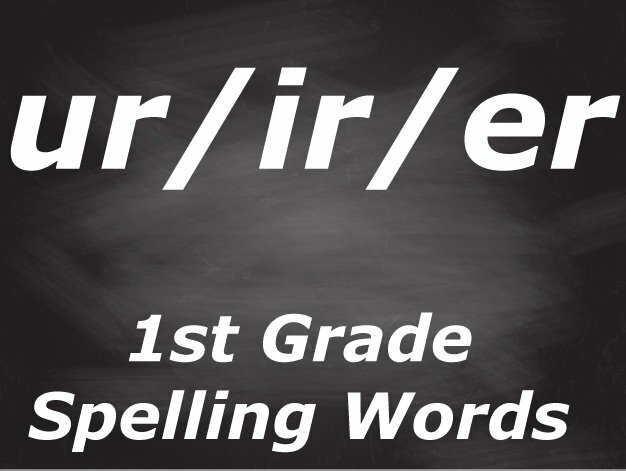 This lesson will cover First Grade spelling words that use the /ir/ sound. This can be a tricky unit--there are many different ways to spell the sound. 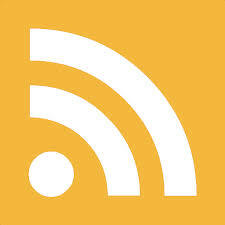 It's found in words like bird using the -ir form, it's in fur as -ur, and in her as -er. That's a lot to remember for a 1st Grader. Our daughter has struggled with the /ir/ sound, so I've worked hard at making these worksheets for her to use and I'm glad to be able to share them with you. Thanks for visiting. 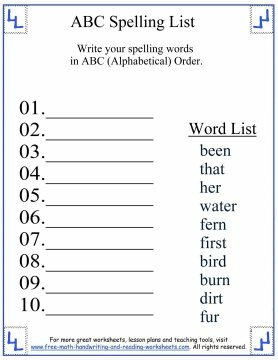 The initial paper is just a printable list with all of the spelling words on them. 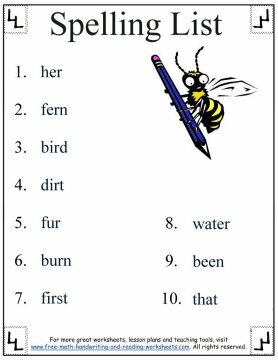 I also included a couple sight words as we've been working on those in my daughter's class as well. The next sheet is an alphabetizing task. Have your child write the words on the lines in alphabetical order. 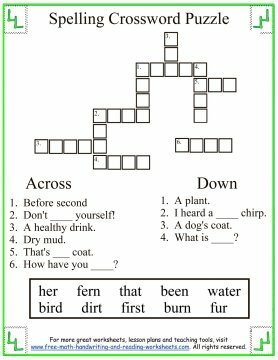 Next is a fun crossword puzzle with simple clues. I had to help my daughter read the clues, but she was pretty good at coming up with the answers herself. 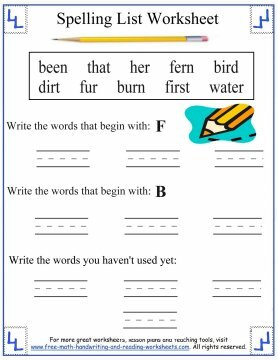 The fourth worksheet is a writing activity. Instead of sorting the words by their ir/ur/er sounds, I did them by the first letter. I felt this was a better way to show her that there were different ways to make the /ir/ sound. 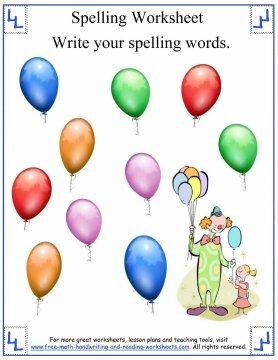 In the fifth activity sheet, students can write their spelling words on the balloons. 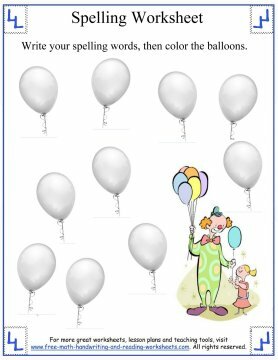 The final worksheet is the same except children can color the balloons when they're done. I like to have my daughter color all of the /ir/ balloons one color, the /ur/ words another, and so on.